Typically renewed every 5 years, the Farm Bill is more influential in every day life than you may know. It’s a comprehensive piece of legislation that covers most federal government policies related to agriculture in the United States. 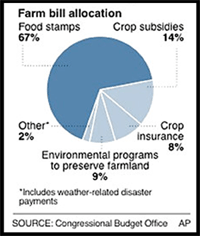 Provisions of the Farm Bill are divided into categories called titles. 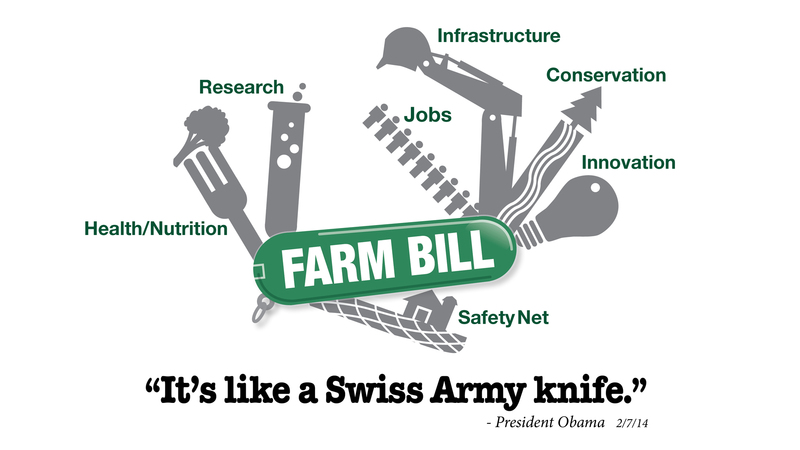 In 2008, the latest form of the farm bill contained 15 titles: commodity programs; conservation; trade; nutrition; credit; United States rural development; research; forestry; energy; horticulture; livestock; crop insurance and disaster assistance; commodity futures; trade and tax provisions; and miscellaneous. It usually makes revisions and suspensions to provisions of permanent law of preceding temporary agricultural acts, and puts forth new policy provisions for a limited time. Initially created in 1933, the farm bill originally provided subsidies to U.S. farmers during the Great Depression. The government paid farmers to stop the production of 7 main crops, known as “commodities”, with hopes decrease the supply and eventually increasing the prices of staple crops. Although there’s much collaboration among USDA, Congress and White House, Congress has the final stamp of farm bill content. Currently, there’s a debate on the national deficit, which has spurred billions in the next bill causes a failure of a full agreement. Now, you may be asking how much the Farm Bill costs. Well, approximately 67% of the funding’s supposed to be directed to nutrition, 15% to agricultural subsidies, 9% to conservation and 8% to crop insurance. Currently, the top priority is cost cutting measures.